Little ones will be spoiled for choice with an outstanding line up of exciting films this autumn. Hop into a world of mischief, adventure, and charm with Peter Rabbit as the beloved storybook character is brought to life on the big screen. Join Sherlock Gnomes as he investigates a mysterious case of missing gnomes around London. Journey to a time where prehistoric creatures and woolly mammoths roamed the earth with the stop-motion film, Early Man. Or fly through dimensions of space and time in A Wrinkle in Time. To accompany these screenings, Event Cinemas have lined-up free artistic activities that’ll inspire kids to embrace their creative side. 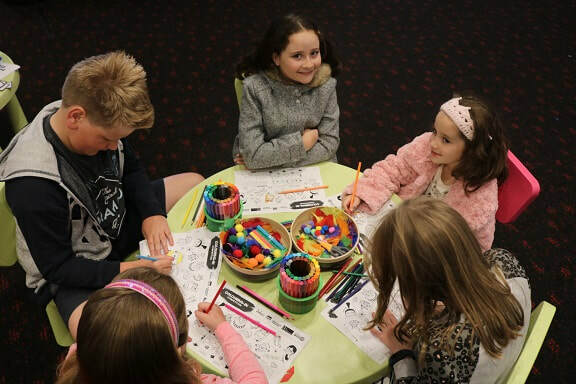 Watch as they draw, colour and craft artworks to take home as a special memory of their day out at the movies with mum and dad. Little artists can show off their creative colouring abilities for the Peter Rabbit colour in competition and get the chance to win an epic Peter Rabbit prize pack! Budding green thumbs can have a hand at creating their own Sherlock Gnomes out of paper in an exciting craft-meets-garden activity. Stuck for Easter long weekend activities? Head to Event Cinemas for a special, chocolate-laden Easter Egg Hunt taking place at each first session of the day of Peter Rabbit, Early Man and Sherlock Homes. This exciting family day out is made easy and affordable with the Cinebuzz Family Pricing. Cinebuzz Members can see Peter Rabbit, Sherlock Gnomes, Early Man, or A Wrinkle In Time for $11 on all sessions before 5pm daily. Bigger kids won’t miss out either, gaming fans will be transported to another dimension with Wade Watts as he delves into the world of virtual reality in Steven Spielberg’s Ready Player One***. 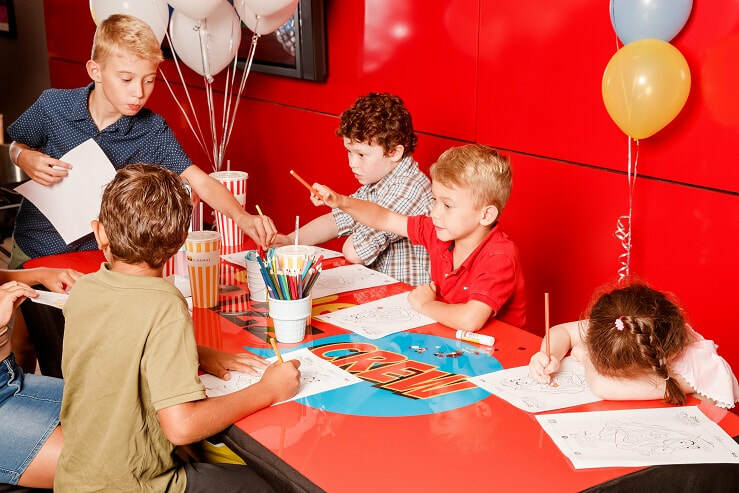 Join Event Cinemas for a school holiday chock-full with exciting and creative fun for the whole family. 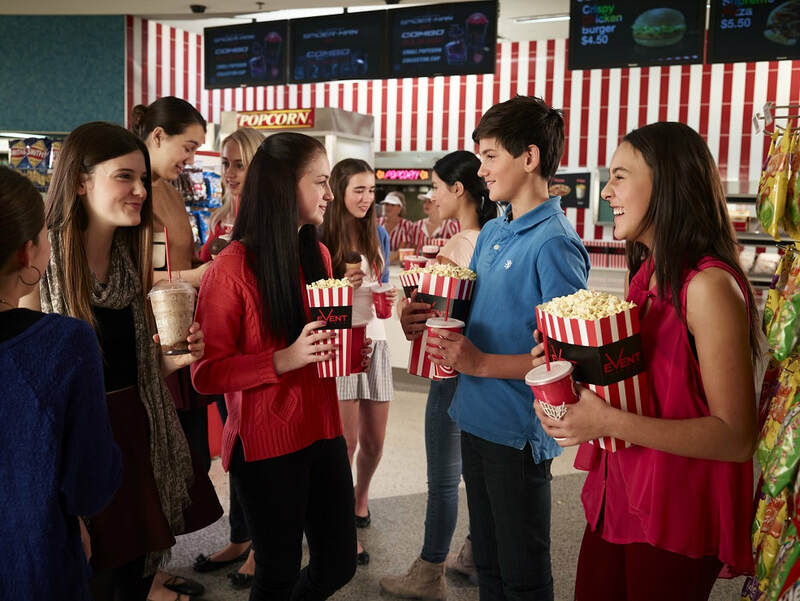 Check out screening and activity times at www.eventcinemas.com.au, then grab the popcorn and start planning your trip to the movies! *Surcharges apply for 3D and Vmax. Pricing may vary between cinema locations. The beloved garden gnomes from GNOMEO AND JULIET are back for a whole new adventure in London. When Gnomeo and Juliet first arrive in the city with their friends and family, their biggest concern is getting their new garden ready for spring. However, they soon discover that someone is kidnapping garden gnomes all over London. When Gnomeo and Juliet return home to find that everyone in their garden is missing – there’s only one gnome to call… SHERLOCK GNOMES. The famous detective and sworn protector of London’s garden gnomes arrive with his sidekick Watson to investigate the case. The mystery will lead our gnomes on a rollicking adventure where they will meet all new ornaments and explore an undiscovered side of the city. This action-packed sequel features the voices of returning cast, James McAvoy, Emily Blunt, Michael Caine, Maggie Smith, Stephen Merchant and Ozzy Osbourne, plus Johnny Depp as Sherlock Gnomes, Chiwetel Ejiofor as Watson and Mary J. Blige as Irene.